In occupied Crimea 500 frequencies are used illegally. This was informed by the Permanent Representative of the President of Ukraine in the Autonomous Republic of Crimea Borys Babin at a meeting of the Verkhovna Rada Committee for Informatization and Communications, the correspondent of QHA reports. "The aggressor state uses illegally more than 500 frequencies in Crimea. Accordingly, these past few months we can state not only the absence of almost complete Ukrainian broadcasting in Crimea, but also spreading the broadcast from temporarily occupied territories to the surrounding regions of Kherson, " said Babin. According to him, the reason for such situation is a new radio and TV station "Salt Lake" operated by occupiers near Dzhankoy. "On May of this year, Russians installed a powerful "Salt Lake" transmission station near Dzhankoy. Their strength of illegal TV and radio broadcastining on occupied territories has significantly increased. From the side of Ukraine, we have only one transmitter station "Chongar". Besides, it is private and has some restrictions on broadcasting. The second station in Chaplynka is not operated," said Babin. As reported by QHA, eight radio stations from the mainland of Ukraine have received permission for temporary broadcasting on southern Kherson and on administrative border with occupied Crimea. Three of eight radio stations: Radio Hayat, Army FM and Radio NV will be broadcasting on the north of Crimea in the FM-band. 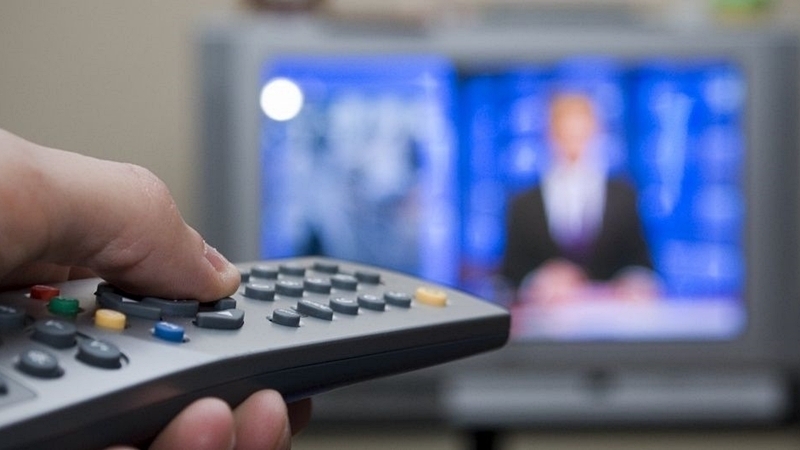 Later, five more Ukrainian media have received permission for broadcasting on territories of Donbas and occupied Crimea, among them are: Black Sea Broadcasting Company (Chaplinka, Kherson region), UA:Crimea (Chaplinka, Kherson region), Channel 5 (Chaplinka, Kherson and Donetsk regions), TV channel "Прямой" (Donetsk region), Radio Free (Donetsk region), "Страна ЧМ" (Donetsk region).